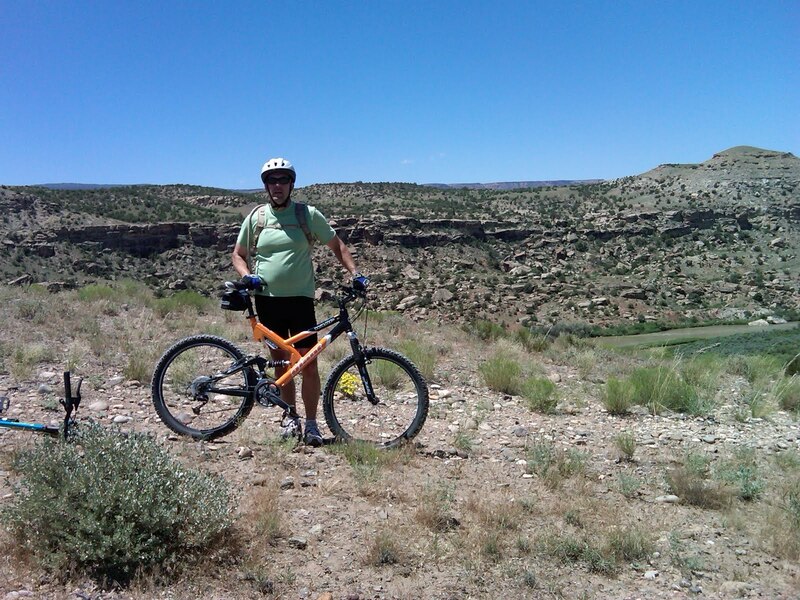 When I asked my DH, Tom, how he would like to spend Father's Day weekend, he said he'd like to go biking on some of the county and BLM (Bureau of Land Management) trails just south of where we live. When I got home from yoga practice (a killer class, by the way), he already had our bikes loaded on the car. 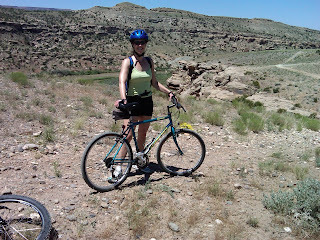 We went to the trail head and set off for a great bike ride on a really beautiful trail -- along the train tracks and beside the Gunnison River. 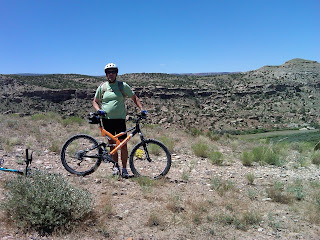 We stopped along the way to take a couple of pictures and just take in the beauty. After we finished, we got some delicious Mexican food. Why does food taste SO much better after you've worked out? The "frosting" on the cake (for Tom) was stopping by one of our large hardware stores on the way home to get some "stuff," which is how he answers me when I say, "What are we going to the hardware store for?" Then he spent the rest of the afternoon tinkering around the yard and the house installing, planting and painting with all of his new "stuff." A relaxing barbecue dinner and a movie topped of the day. Sounds like such an awesome weekend! I agree, food tastes so much better after a good work out! 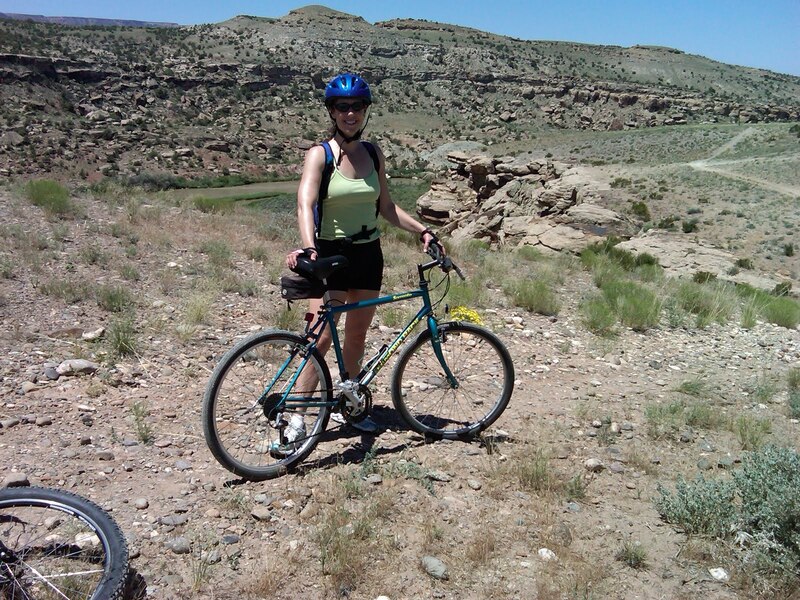 that sounds absolutely perfect (for those of you who like to Bike, Hike etc..LOL) I think just being able to have that time together is the best gift of all. Sounds like a wonderful Father's Day, suitable for a wonderful Father. Bring that tinkerer/installer/planter/painter over to our house! The bike ride sounds wonderful. Love the pictures - thanks for sharing! Love it. Nothing better than spending the day together. Wow. That really does sound perfect. I agree food tastes so good after a good workout, especially mexican food (in my opinion). I love the "stuff"... Sounds like he had a perfect day!